Living Arts is accepting proposals for a Nonprofit Financial Strategy Consultant to it develop a comprehensive, strategic financial plan to be able to scale and replicate services appropriately to make a greater impact for more Detroit-based children, while also ensuring sustainable programmatic development. We have been chosen to compete in Design With Benefits' monthly non-profit donation contest. The winner will receive a portion of Design With Benefits June proceeds. To vote for Living Arts, visit the Design With Benefits homepage and click the Living Arts box under the title. Thank you for your support! 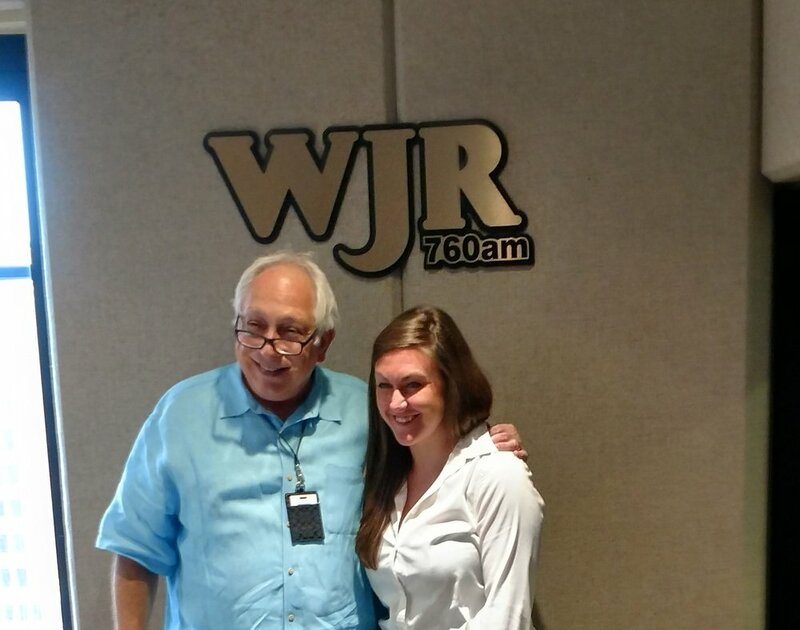 Alissa Novoselick with Paul W. Smith on WJR's Opportunity Detroit. Our Executive Director Alissa Novoselick was interviewed by Paul W. Smith on WJR's show Opportunity Detroit. Opportunity Detroit showcases Detroit's exciting present and promising future by creating an urban environment that attracts businesses, residents and visitors while promoting Detroit in a positive light inside and outside the city. Listen to the show here. Executive Director Alissa Novoselick shared the impact federal arts funding cuts would have on Living Arts and Detroit in an interview in The South End. Detroit Wolf Trap Teaching Artist Rachel McIntosh working with Emmanuel Head Start students. Living Arts' Program Manager Susannah Goodman and Teaching Artist Rachel McIntosh appeared on Stateside with Cynthia Canty to discuss our Detroit Wolf Trap program. Providing arts-integrated residencies and workshops for children ages 3 months through Kindergarten, Wolf Trap's approach is based on decades of research demonstrating that high-quality arts education is an effective way to help children learn. Living Arts' new Executive Director Alissa Novoselick. Living Arts is pleased to introduce our new Executive Director Alissa Novoselick! 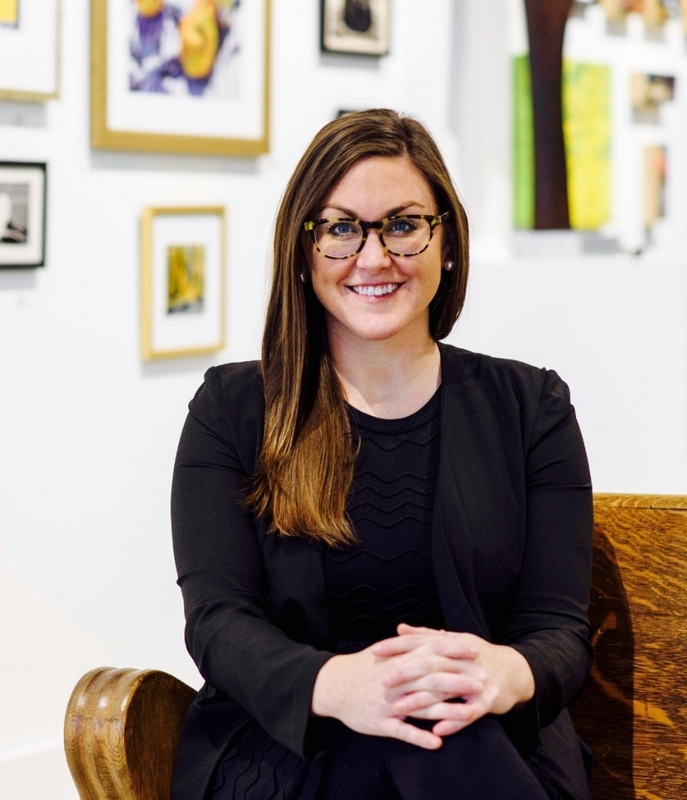 A native of Muskegon, Alissa returns to her home state after serving as the Executive Director of the Tamarack Foundation for the Arts in West Virginia. In this capacity, Alissa expanded fundraising, arts education programming and arts advocacy. Her many accomplishments include the creation of a creative entrepreneur fellowship program, an organizational marketing rebrand, and the creation of the West Virginia Creative Business Think Tank. Novoselick holds an MBA from Antioch University, a BA from the University of Michigan and is part of the National Arts Strategies Chief Executive Program through Harvard Business School. Prior to her role at Tamarack, Alissa worked as the Director of Development at Carnegie Hall, West Virginia, and the Director of Finance at the Family Refuge Center. In addition to her non-profit positions, Novoselick worked as a high school teacher, educating students in Southfield, Michigan as well as Native American youth at Camp Verde, AZ. She was awarded the 2009 First Year Teacher of the Year Award in Arizona. Alissa was recently named one of the West Virginia State Journal’s “40 under 40”, a 2016 YWCA Woman to Watch, and served an appointment by the Governor on the Broadband Enhancement Council. An active community member during her time in West Virginia, Alissa serves on the boards of Generation WV, Fund for the Arts, and Philanthropy WV. While building an impressive resume in arts administration, Alissa has also had time to hone her skills as an artist. She sings, plays cello and trumpet, and grew up performing in the theatre arts. These artistic pursuits have supported Alissa’s management work and make her a dynamic choice for our new Executive Director! Thank you to everyone who joined us for our Executive Director Meet & Greet on January 12th! We were pleased Alissa had the chance to meet so many of our supporters. A great time was had by all! Living Arts is excited to be part of the 2016 Give Detroit Challenge! It's a fundraising campaign launched by Hour Detroit where organizations in Southeast Michigan compete to raise the most money and win a grand prize cash donation of $20,000. Share the above link on your Facebook, Twitter, and other social media accounts (or by email) to encourage friends and others in your network to learn more about Living Arts, contribute to the challenge, and continue sharing the challenge themselves. Start your own fundraising team for Living Arts by reaching out to your family, personal, and professional networks to help us raise more money for bigger impact! It takes less than five minutes to set up by going to https://www.crowdrise.com/living-arts-givedetroit2016 and clicking on the right-hand button 'Fundraise for This Campaign. Read about the revitalization of our brand here!